On January 10, Tullow Oil announced its CEO, Aidan Heavey, would step down from his role following the company’s next annual general meeting in April. Heavey, who has undertaken the role of CEO for the last 37 years, will instead take on the position of company chairman, with Paul McDade, the current COO, taking his place as chief executive. The restructuring of the company’s leadership has raised eyebrows among those familiar with the UK’s corporate governance guidelines, in which section A.3.1 states: “A chief executive should not go on to be chairman of the same company.” As the company is headquartered in London, with shares listed on the London Stock Exchange, these guidelines are applicable. In light of this, the company has stated Heavey will only serve as chairman for “a transition[al] period of up to two years”. Self-proclaimed as “Africa’s leading independent oil company”, Tullow Oil operates oil and gas production in major reserves across 22 different African nations. Predominately engaged with its onshore East Africa and offshore Ghanaian operations, it is the UK’s largest production and exploration company. From its humble beginnings in the small Irish town of Tullow in 1986, Tullow Oil now generates over $1.6bn in annual revenue and employs over 1,400 people. Nonetheless, falling global crude oil prices have hampered the company’s profits, with the company experiencing a pre-tax profit loss of $10m in 2015. In 2017, Tullow Oil’s stock is trading at just over 300p, 62.5 percent cheaper than its 2014 price. Tullow has also faced production issues in West Africa, arising from a drilling moratorium put in place during negotiations over boundary disputes between Ghana and the Côte d’Ivoire. A Barclays Research report – published in January – has estimated the ban will be lifted in late 2017, when the International Tribunal for the Law of the Sea publishes its ruling on the dispute. With the opening of the company’s latest reserve, the Tweneboa-Enyenra-Ntomme (TEN) offshore fields in Ghana, McDade has some big shoes to fill. 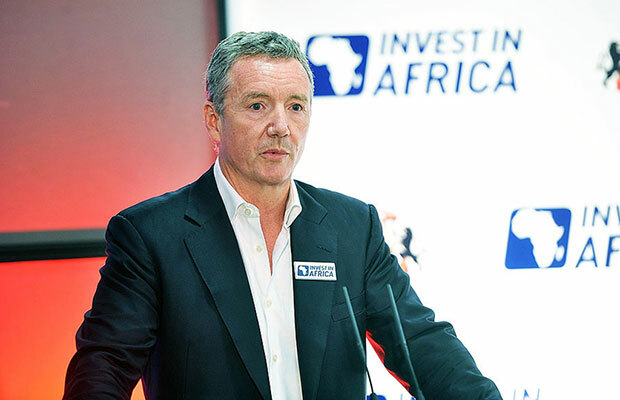 However, having been credited with the success of the TEN development and another deep-water project for Tullow, the forecast for his future success as CEO looks bright.